Felt flag is also called felt banner. It is a good choice for party decoration. There are various sizes and printing avaialable to suit different kinds of party.Choose from a selection of inspirational felt pennants with a touch of quirky fun. They can be in various colors and sizes. Customized is acceptable. Sourcing and processing ranges of Evergreat are worldwide, we aim at achieving a perfect balance between the efficiency and cost through integration. Services of Evergreat are worldwide; we aim at meeting demands of people all over the world. Evergreat provides multiple categories of products, comprehensive services in order to satisfy customers' all-dimensional needs. We commit ourselves to integrate global supply chain in order to reduce cost and increase efficiency. We are trying to create an open platform, which will open up the two sides of supply and demand, and realize accessible communications. What we commit to the customers: Building leading supply chains and providing valuable services. What we commit to our staffs: Providing developmental platform and creating happy life. What we commit to our shareholders: Realizing sustainable and stable return on investment. What we commit to the society: Creating better life by utilizing global resources. 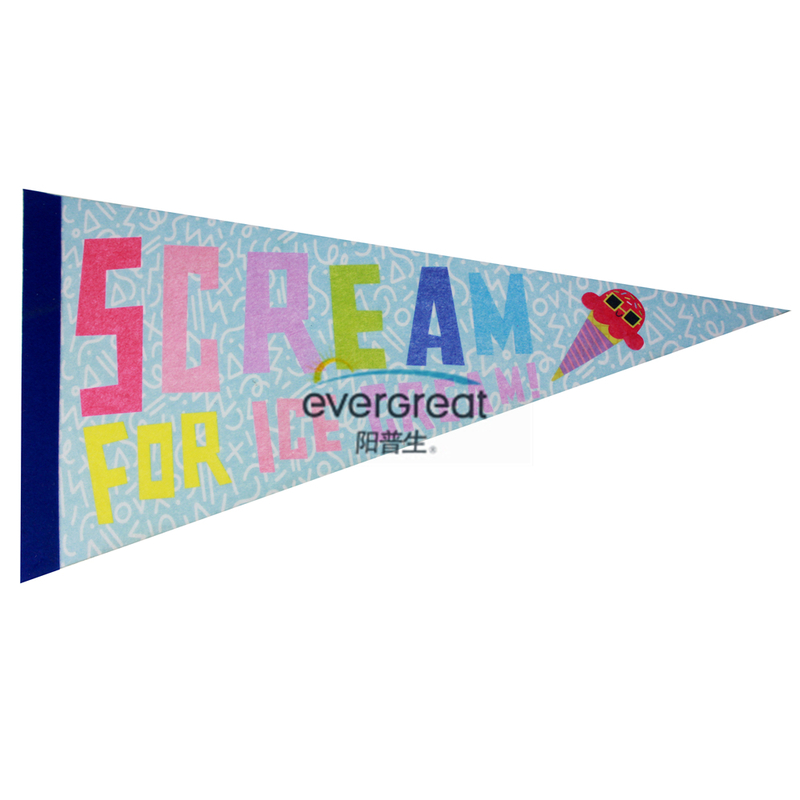 Looking for ideal Felt Triangle Pennant Flags Manufacturer & supplier ? We have a wide selection at great prices to help you get creative. All the Cheering Felt Flag are quality guaranteed. We are China Origin Factory of Felt Beach Banner. If you have any question, please feel free to contact us.